Ideally, your gums should be pink, free from redness, inflammation or bleeding and without any discomfort or tenderness. Gum care, however, may need the help of a professional. 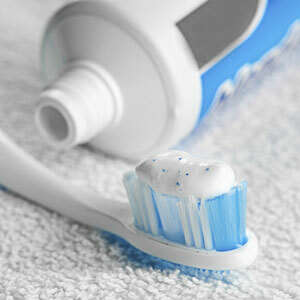 The Shine Dentists, Franklin team can advise you on proper brushing and flossing techniques to remove the daily buildup of plaque. If you are in any stage of gum disease, we offer treatment solutions to help you. Called gingivitis, the initial phase of gum disease is called by plaque, or sticky bacteria that collect in tiny gaps between your gums and teeth. If it’s not removed by brushing and flossing, it multiplies thanks to the sugars in food and drink, leading to soreness, bleeding and puffiness. If not treated, you will develop periodontal disease, which is the later stages of gum disease. When the bacteria under your gums travels deeper, it affects the tissue and bones that support teeth. In addition to the other symptoms of gum disease, you may also have bad breath, see that your gums are pulling away from teeth or have pus around teeth. Once this stage hits, the bone that anchors your teeth into your jaw dissolves, causing teeth to become loose and even fall out. Though irreversible, periodontal disease can be slowed down by regular visits to our practice and improving your oral hygiene habits.